The waves of the sea are breaking into the rocks, 4K, cinema style, slow motion. 4k00:20Scene from Spooners Cove Beach, abeautiful cove with a pebbly beach, tide pools, caves, and unique rock formations. It is near Islay Creek Campground, the only campground in Montana de Oro State Park. 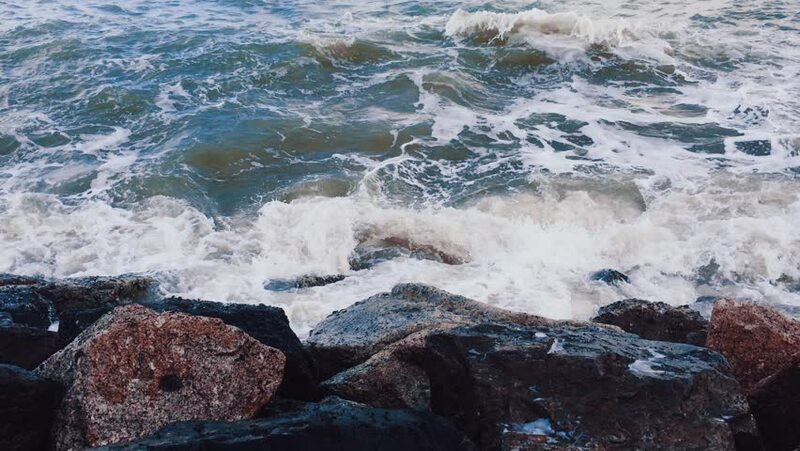 hd00:50Slow motion of sea swash between textured boulders.